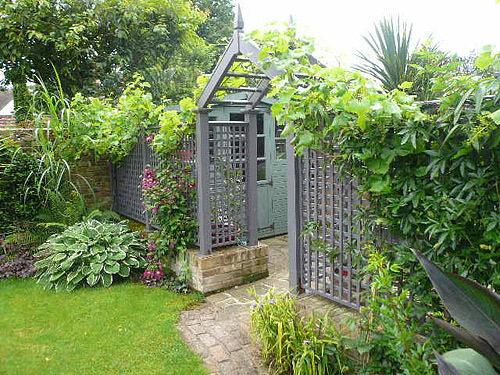 Southernwood Landscapes is a garden design and construction company working in Buckinghamshire, Berkshire, Middlesex, Surrey and Hertfordshire. The Company was established in 1994 by myself, Michael Jefferies. We are a small but dedicated team that take great pride in every project. Hopefully, this attention to detail is evident in the photographs displayed in our picture gallery. Southernwood offer a comprehensive design and construction service for all types of gardens - everything from small urban spaces to large country gardens, in both contemporary and traditional styles. 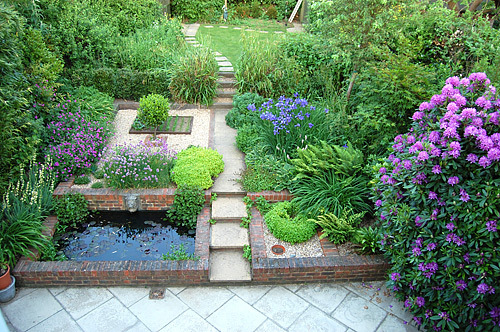 We also undertake garden restoration projects including the improvement of planting schemes and the pruning and re-shaping of existing shrubs. Whenever possible, Southernwood Landscapes seek to purchase their materials from environmentally responsible suppliers. To see some more examples of our work please visit the picture gallery by clicking on the buttons above. Extensive written testimonials are available on request.